Not Just Hot Air! 's website. Some one from the Not Just Hot Air! team will respond to your question shortly. A database error has occurred. Please try re-subscribing to our database at a later time. We apologize for the inconvenience. We invite you to provide an email address so we may advise you when special offers for flights are available, as well as update you on new merchandise and services. Reserve your Champagne Adventure Flight now! Our "Flight Guarantee" - DON'T PAY anything until you fly! a traditional champagne toast after the flight! 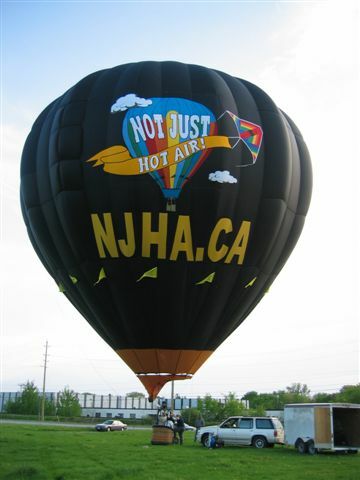 Not Just Hot Air! 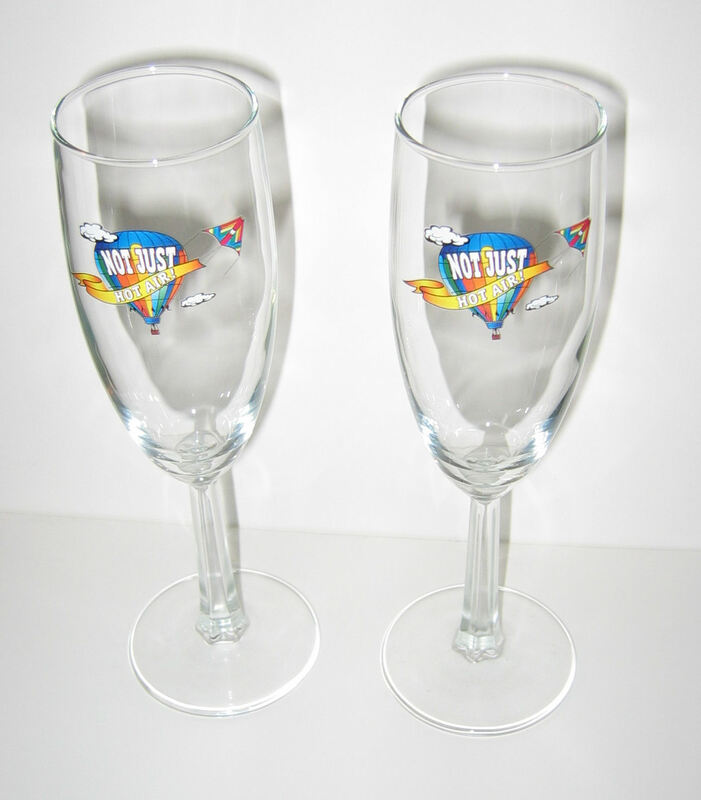 champagne glasses to keep! Not Just Hot Air! collectable balloon pins! Not Just Hot Air! champagne glasses for free! Take your business advertising to new heights! on our balloon during our regular Champagne Passenger flights. areas at sizes up to 32 feet wide by 27 feet tall! Take advantage of an advertising medium that is sure to be remembered! Cost per flight is only $350.00 +HST for a sponsorhip banner. 170 Degree HD video of your flight! Premium luxury Champagne City Flights over Toronto! Our new "Flying Billboard" service to take your advertising to new heights! Helium blimps up to 25 long to advertise your business or event! Special shaped kites for special promotions and events! Our "Flight Guarantee" to you! Experience the adventure of a lifetime - the thrill of flight! Gift certificates for flight charters during our 2012 flying season are now available! A great way to celebrate a special day with that special someone. Enjoy the romance of a private flight for two, complete with a champagne toast! Call 416.488.1342 now to book your flights! Why book your Hot Air Balloon flight with us? Not Just Hot Air! has been providing people with a first class champagne hot air balloon flight adventure in the Toronto and surrounding GTA areas since 2001. 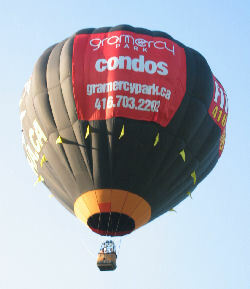 We are Toronto's only locally owned and operated hot air balloon company. 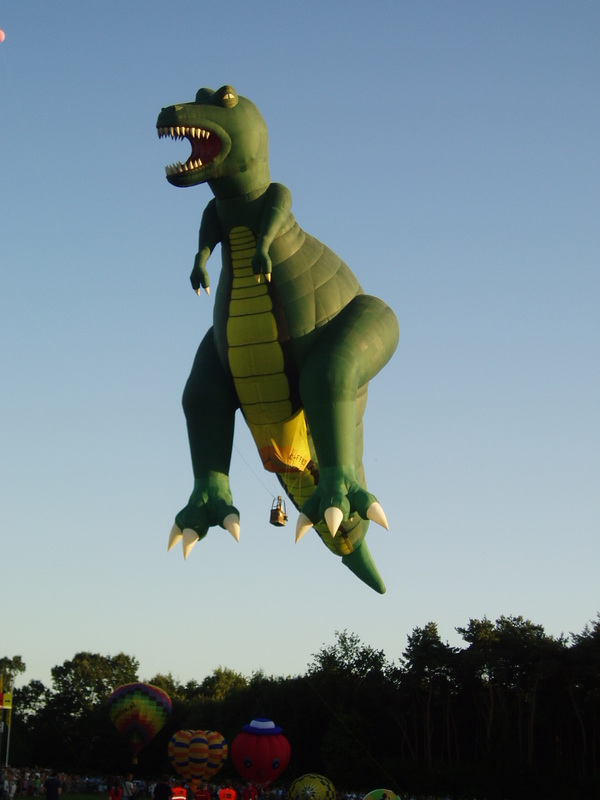 Our chief pilot, Ernie Lee, has over thirty years experience flying balloons of all sizes. from 105,000 cubic foot sport balloons to massive 415,000 cubic foot 30 passenger ride balloons, throughout Canada, the United States and Europe! Errol Lewis, who joined us in 2009, has been flying for over eighteen years. He holds both his Canadian Transport Canada balloon pilot's licence as well as an FAA Commercial Balloon Pilot's licence from the United States of America, and is also an FAA endorsed balloon pilot instructor. Your ground crew for the flight are carefully selected and trained in all aspects of ballooning. 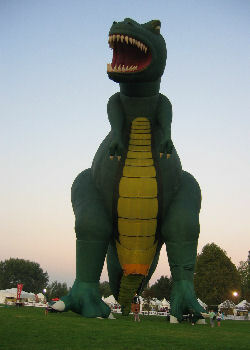 Each member of our ground crew has over ten years experience handling balloons and chasing balloon flights! We now offer passenger pick-up at the York Mills subway stop in addition to our regular meeting place at highway 400 & highway 7 at the Dave & Buster's parking lot. If you live outside of the GTA we often can make arrangements to meet you closer to where your flight will take place to save you the trouble of driving into the GTA or Toronto. Our prices are good for flights any day of the week for either sunrise or sunset flights. You don't have to pay more just to be able to fly on a weekend! (However you do need to book early as flight dates are on a first come first served basis! )so please book early to avoid disappointment. 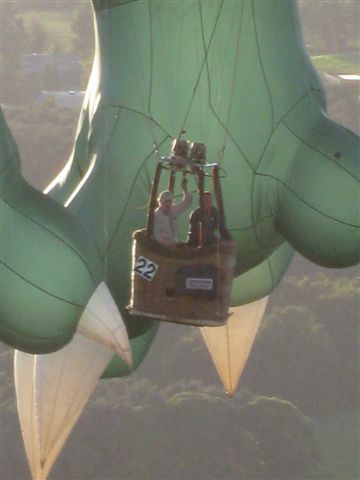 Lots of people are "afraid" of heights - even some balloon pilots! So how can they be afraid of heights and still fly a balloon? In a hot air balloon, because you are not "attached" to the ground the way you are when you are standing on a ladder or a balcony or a roof, you do not experience the sense of "vertigo" you may get otherwise due to the lack of "perspective". Because you are usually looking out towards the horizon when in a balloon, you have less of a sense of the "height" at which the balloon is traveling. It is much like riding in an airplane - the scenery is just passing by the window! In addition, as the balloon travels at the speed and direction of the wind, there is no turbulence to make the basket sway or rock! Over the years we have been flying passengers, all those who professed having a fear of heights prior to the flight indicated without exception at the end of the flight that they did not feel at all afraid in the balloon - even when flying at 1500 feet! While the price may seem expensive for a 1 hour flight, it is the adventure of a lifetime for most people. 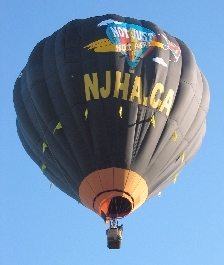 Like any other business, ours has significant costs for equipment - a four passenger balloon can cost up to $45,000 (larger balloons can easily cost 2 and 3 times as much) and usually is flown for only about 300 hours before it will be "rebuilt" to ensure the highest standards of safety; then there are costs for support equipment like inflator fans (as much as $2,500); radios ($1,000); a chase vehicle and trailer for the balloon ($25,000, $7,500); and then there are the salaries for pilots, ground crew and office staff! (we haven't even gotten into champagne, office equipment, telephones, computers etc. etc. etc..!) And to top it off, our business is very weather dependant! While it is not the most lucrative venture, we do it because we love the flying and the adventure. Every flight is different and you get to meet many interesting people, both passengers, land owners and the many people who come out to watch the balloon take off and land. Then let us convince you that you will have one of the most exciting experiences of your life! Please feel free to call us at 416.488.1342 at your convenience with any other questions you may have. You may also want to check out our Frequently Asked Questions (FAQs) page here on our website. Not Just Hot Air! also provides corporate hot air balloon advertising services through traditional full corporate programs as well as our new " Flying Billboard" service designed to let those companies with limited advertising budgets experience and test the advantages of this medium of advertising without having to commit large sums of money to a full blown hot air balloon program. Check our corporate advertising pages to learn more about this unique form of mobile outdoor advertising. As well as hot air balloon advertising, Not Just Hot Air! also provides kite advertising and displays. In addition to the above Not Just Hot Air! 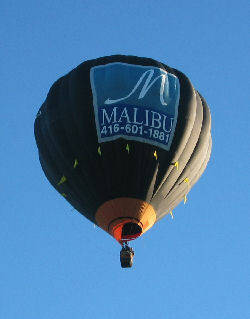 is available to provide tethered balloon rides for private functions as well as community and special events programs. © 2011 - Not Just Hot Air! Inc.
Sweetheart Balloon Flight for two! 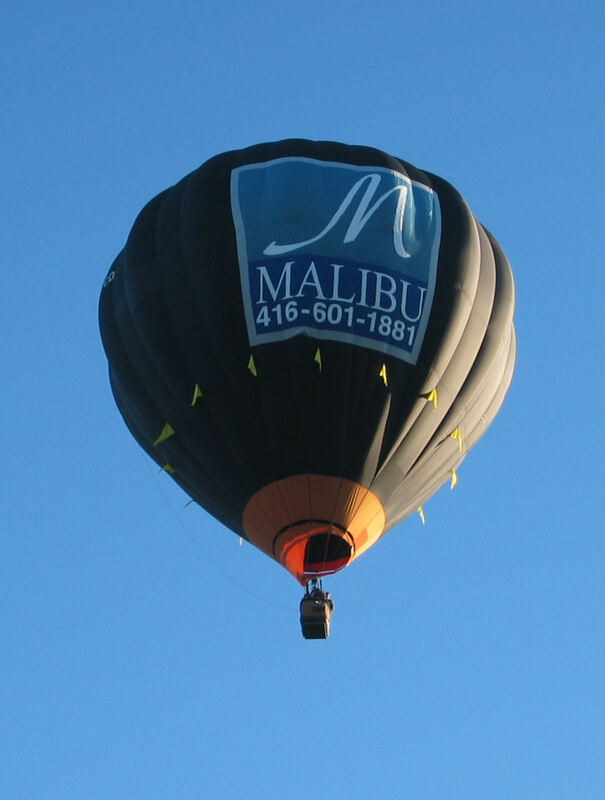 Help us help you to big savings - contribute to our balloon rebuild program by purchasing a balloon pin(s) starting at $25 and get a flight discount certificates of up to $185.00! receive an additional $15.00 discount! call 416.488.1342 NOW to take advantage of these great savings!